involves giving children opportunities to speak and listen in a range of situations and develop their confidence and skills in expressing themselves. 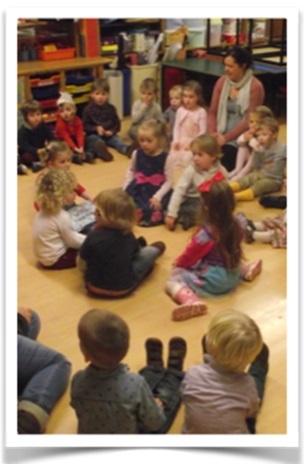 Language and communication plays a central role in the nursery. Children learn to listen attentively in a variety of situations – to each other and to the teachers. They are regularly asked to follow instructions during craft activities, during play, in groups and in individual sessions depending on their age. Understanding is developed by skilled staff who explain and demonstrate skillfully the concepts involved. Staff take a genuine interest in the lives of the children which encourages them to express themselves and find ways to tell us what they want to share. Resources are freely available so that children can learn to explain their plans and ask for exactly what they need to accomplish their aim such as making a fan, or a telescope or a coin for the shop. Story time happens twice a day where the children are encouraged to suggest favourite books and bring stories from home. Puppets are also used to enhance this area of development.